Doing the skip bin price ring-around? Don’t lose money waiting for your skip bin to turn up! Next time you are doing the ring-around looking for a skip bin price, make sure you also consider the service you are expecting. While Big Bin Hire is ‘up there’ with the major skip bin providers in terms of competitive skip bin prices, we can generally out do them when it comes to service. At Big Bin Hire we understand that skip bin hire is a crucial cost to your business. We also understand that waiting around for unreliable providers can mean you lose hours of labour time. We get at least three calls a week from disgruntled builders who are sick of (a) waiting all day for their skip bin to turn up even though the skip bin was booked in advance (b) waiting all day for their skip bin to be picked up when they have to clear the site (c) waiting all day for their skip bin invoice to turn up so they can cross-check their job payments and costs. When Big Bin Hire gets a phone call like this, we relish in the opportunity to work with a new builder on skip bin hire. Spend two more minutes on the phone with us and ask us about our services, after we have given you our skip bin price. We know we can alleviate a builder’s stress with problems (a), (b) and (c). Our driver’s work convenient hours to ensure that our skip bin deliveries are made at a time to suit our customers. This might mean a 6am drop off or a weekend pick up*. We will work with you to make sure your skip bin is on site ready for your labourers to start filling the skip bin. 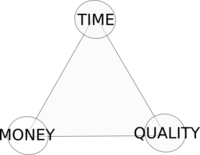 We know – time is money! Consider the cost of losing labourer time when you get your next skip bin price. While invoicing might not seem like an important aspect of the job, our customers benefit from our invoicing system. In most cases, a tax invoice for your skip bin will be in your inbox by the time you get home from work. It baffles us that other skip bin companies don’t provide tax invoices, or provide incorrect tax invoices. Of course, problems such as traffic delays can arise from time to time, which can affect skip bin delivery. You can be assured by Big Bin Hire, that you will get a phone call well in advance if there is a delay in your skip bin delivery and we will work with you to make sure you are not inconvenienced. Sometimes this may mean we wait on site for you to fill your skip bin up and take it away straight away, other times this might mean we extend your skip bin hire period. We are here to work with you and make sure your skip bin hire is the least of your headaches when it comes to your building and construction jobs. We have plenty of happy customers who just love our service! If you are looking for a reliable skip bin provider in Melbourne who can work with you to deliver and pick up your skip bins in a safe and efficient manner, then you have come to the right place. 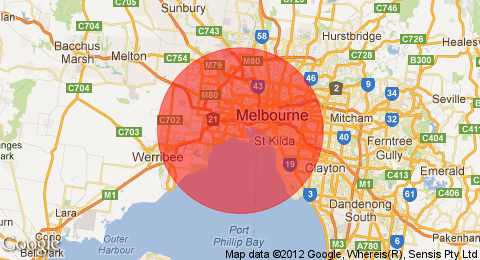 Big Bin Hire are experts in Melbourne Skip Hire delivery and we are keen to work with you. Call us on 1300 224 473 for a quote on your next construction or demolition job. Check out our skip bin sizes here. *Flexible skip bin delivery times need to be discussed up front.